Photomechanical images are always the mark of an encounter, which becomes a direct confrontation when its object is human suffering perpetrated by man. The archival images resulting from such confrontation (either in photography or in cinema) raise some inevitable questions: Who took them and with what purpose? Is it possible, observing them meticulously, to retrace the process that took place at a precise instant? What do they hide beyond the limits of their visibility, in the reverse-shot, so to speak? In this sense, the archive appears to be as a rip, due sometimes to the perpetrators’ hubris, others to an audacious act of resistance from the victims, but also to the compulsion/decision to see/inform/bear witness by the media professionals. Regardless of their aim, these images show an imbalance between the magnitude of the events they represent and the trace impressed in them. That’s the reason why archival images of atrocity are sensed suspicious if not illegitimate. 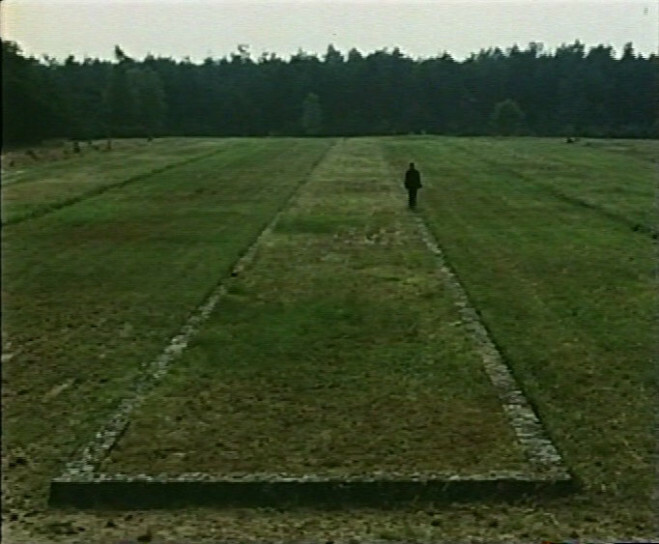 In the last few decades, and especially in the aftermath of Shoah (C. Lanzmann, 1985) and the debates this film triggered among historians, philosophers and psychoanalysts, this inaccuracy has polarized the attitudes ranging from radical rejection to accepting mechanical use as illustration. Since then, however, numerous archives have been opened and new footage has been discovered in the former Communist countries contributing to a large number of exhibits and museums on communist atrocities. Adequate or inaccurate, confronted or complementary to the witnesses’ testimonies, the archival images of the past remain remnants in spite of all, sometimes the only artifacts that have survived capable of embodying the clash between two gazes. However, the subject of this issue of Cinéma&Cie will not focus on the production of such images, even though their origin must be considered. The main theme will be their persistence on the synchronic level (i.e., between the media: newspapers, magazines, cinema, television, Internet, museums…) as well as in the diachronic axis (across time: mutation, re-editing, inversion…). Instead of being static, these archival images are constantly reedited and migrate as their meaning changes at each new occasion. From propaganda to counter-propaganda, from memory purposes to artistic aims, the circulation of these images proves that repetition is the first expression of difference. In sum, by their defective nature, their “natural selection”, and their changes throughout history (iconization, archive fever), these image remnants strongly contribute to shape collective memory even becoming real sites of memory for social, ethnic or national communities, namely, a reservoir of images ready to stimulate grief or fuel action. Under these circumstances, this photo and film footage travels through public spaces, as museums, monuments, artworks, memorials, human rights activities and so on. Circulation of photographic and cinematographic images in the visual sphere and their conversion into icons, collective images, mental images or socialized images through different means of communication and in different conjunctures. Study of the changes produced in rhetorical, social and political meanings taking into account a specific image or a group of images. The life of the photographic, cinematographic and TV archival images in museums, exhibits and art installations: the dialectics between aesthetic sublimation, ethical imperative. Spatial and other strategies to make images talk, show, and/or hide what is off screen. The issue of the invisibility or the a-visibility in stimulating an emotional or intellectual reaction in the spectator. New political uses of the archive since the fall of Communist regimes in Eastern Europe after 1989: new discoveries, new representations. The role of the representation of atrocities, using old and new footage. Reading the (images of the) past from the agenda (media: TV, the Internet) of the present. Clash of gazes: freelance or agency reporters shooting in Sarajevo, Rwanda, Cambodia, Argentina… and the globalization of these images. Mental images and vicarious trauma. Social images and individual and collective trauma. Postmemory and affiliative memory. The image as premonition of the catastrophe: retrieval and the study of images of the pre-catastrophe. The representation of normality and everyday life in home movies, documentary footages, etc. and the interception of revealing details, concealed to the acting subjects or represented in the images of a lost world. The politics of disappearance. The challenge posed by the policy of cancelling traces and making the victims’ bodies disappear. How can a society attest the death of the victim? Which image can fix the ghostly shimmering of the missing person? How may politics of memory hold the ghoulish presence of a spectral community? Please send your abstract (300-500 words in English + bibliographical references) and a short biographical note to submissions.cinemaetcie@gmail.com by January 15, 2014. All notifications of acceptance will be emailed no later than January 31, 2014. If accepted, 4,000-word essays will then be required for peer review by May 15, 2014.